Treat yourself to complete spa day! This pack will leave your skin so glowing and invigorated. 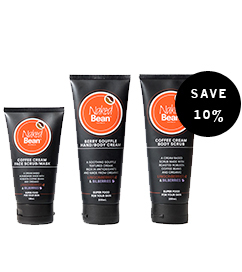 Included is our 200mL tube Coffee Cream Body Scrub, our 200ml Berry Souffle Hand/Body Cream and our personal favourite the 125ml Coffee Cream Face Scrub/Mask. 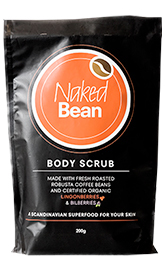 Take some time for yourself or share the Naked Bean experience with a friend. For external use only. Avoid contact with eyes. If skin irritation occurs cease use. Store below 30 degrees. We recommend skin patch testing before use.